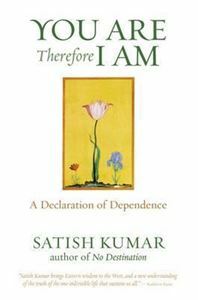 This book traces the spiritual journey of Satish Kumar - child monk, peace pilgrim, ecological activist and educator. In it he traces the sources of inspiration which formed his understanding of the world as a network of multiple and diverse relationships. You Are, Therefore I Am is in four parts. The first describes his memories of conversations with his mother, his teacher and his Guru, all of whom were deeply religious. The second part recounts his discussions?with the Indian sage Vinoba Bhave, J. Krishnamurti, Bertrand Russell, Martin Luther King, and E. F. Schumacher. These five great activists and thinkers inspired him to engage with social, ecological and political issues. In the third part Satish narrates his travels in India, which have continued to nourish his mind and reconnect him with his roots. Ayaan Hirsi Ali is one of today's most admired and controversial political figures.